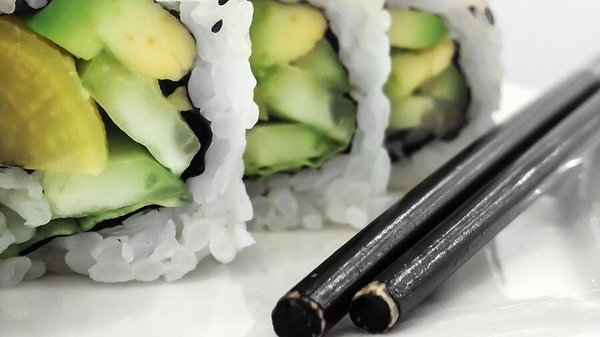 Join Watershed Chef (and expert Sushi Chef) Shalom in this special hands-on workshop to celebrate the Japan Foundation’s Touring Film Programme where you can learn the preparation, rolling and presentation of delicious vegetarian sushi. Enjoy a glass of sake (or a soft drink) on arrival, then spend the next 90 minutes learning how to prepare ingredients (including daikon/pickled radish, cucumber and avocado), key rolling techniques, and how to present your creations beautifully. Master a trio of classics including temakizushi (hand rolled sushi), makizushi (rolled sushi) and uramaki (inside-out rolls). Take your creations home at the end of the day (we’ll give you a container, chopsticks, soy sauce and wasabi) - plus we’ll provide you with your very own makisu (rolling mat) so you can practice what you’ve learned for friends and family. No experience necessary - just bring an empty stomach and get stuck in! We advise booking early as we've limited spaces to 12 to ensure that everyone can work closely with Shalom. Please let us know if you have any food allergens in advance. In celebration of the Japanese Foundation Touring Film Programme, throughout February get 10% off when you spend £15.00 or more per person per cinema ticket from the a la carte menu at Izakaya Bristol. Just show your ticket before you order! The Japan Foundation Touring Film Programme returns to Watershed with another exciting lineup showcasing the versatility and uniqueness of Japanese cinema.